Preserving our transportation history, one piece at a time. 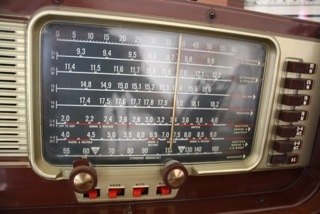 I found this radio when I went to see a possible auto restoration project, a 1941 Cadillac located in northern California. Although I did not buy the Cadillac, the owner was kind enough to give me this non-working radio because I endured a 6 hour drive in the pouring rain to see the car. The case of this deluxe model was covered in leather and sold for $500 in 1954. It was definitely a celebrity item and was endorsed by many Hollywood types of the era. 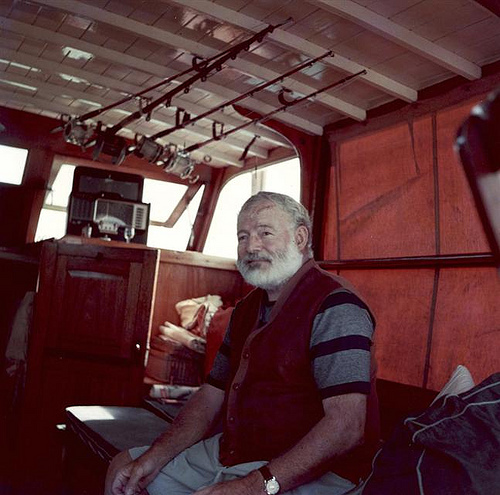 There is a great photo of Ernest Hemingway in his 38 foot yacht, "Pilar", with this Zenith TransOceanic radio in the background (see photo below). His yacht was moored off Cuba and is the location where he wrote one of his most remembered works, The Old Man and the Sea. Cleaning up the exterior case and interior was fairly straight forward. 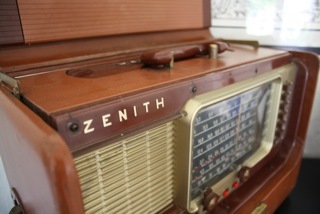 However finding someone to make the radio work was another story. After much Internet searching, I found a guy in San Jose, CA who fixes vintage radios. He did a great job for a very reasonable cost. The radio looks beautiful and plays great. Since my son loves all things retro and vintage, I gave him the radio, and it is now prominently displayed in his living room.